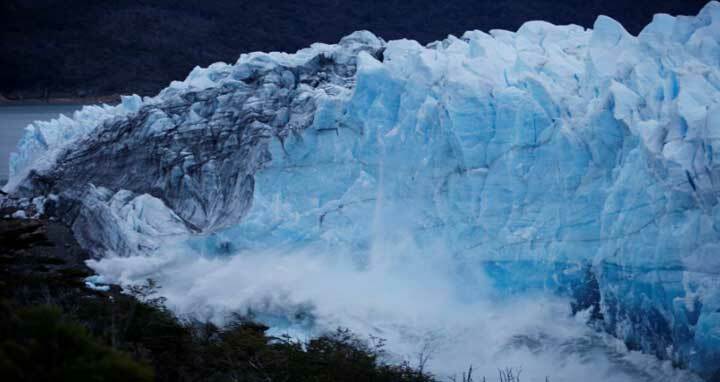 Dhaka, 13 Mar, Abnews: An ice bridge that was part of a glacier at the tip of Argentina has collapsed in the dead of night, thwarting thousands of tourists who had hoped to watch the spectacle. The natural arch in Los Glaciares National Park in the Patagonia region came crashing down overnight Sunday during a storm while the park was closed, park authorities said Monday. An arch forms regularly in a glacier called Perito Moreno as the water flow from a canal eats away at the ice. For the first time in 16 years, the bridge fell in 2004 and since then it has come down every four years of so. “It is always spectacular. The thing is, this time more water accumulated than in the last three or four times,” Luciano Bernacchi, director of an ice museum called Glaciarium, told TN television.